In a recent campaign the Barbados Tourism Encylopedia is featuring a series of GoPro videos on its YouTube Channel and its blogs and websites. One of these campaigns is the Horse Whispers, a fun series of short videos that are set up as teaser all leading to a special offer. The tease i about how the managed to get a young filly into the water. The horse was adamant that she did not want to swim and all sort of cajoling did not make any difference to her defiance. She stood her ground and towered over her handler as he tried to pull her along. The short videos she the trainers effort even resorting to the horse whisper technique, turning his back to her and pretending he did not care. All to no avail. The short videos prompt the user to visit a site or another video to see exactly how they do get her into the water. The videos are very popular and will become more so as the program unfolds. It is a full multimedia campaign involving a magazine feature. many videos and several press releases. It is evolving as we go to press with this blog, and I would like to share it with you as it is a great example of how to add value and get your message across without trying to hard to sell. Shoppers love to be entertained and, if they are in the buy mode, good information that engages them will go a long way to converting to a booking. In the horse whispers campaign, the focus is on demonstrating one of the favorite sights that tourist love. The Savannah race horses on the beach and swimming in the sea. Its a special treat, even the BBC TV flew to the island to made a documentary of the event. The first step is to create interest and awareness, and to get the message out. This is done video the series of videos. b. This video at https://www.youtube.com/watch?v=r-QeMBcfm8I - See Video above. c. There will be other teaser on other channels as we move forward. The main videos are on the landing page, in this case http://barbados.org/horsewhispers. Videos are also published to the related networks (see 5). A single Video covers the entire event with a short on the horses running the beach then the teaser and the final walk into the sea. It too may have a full promotion later after the teaser has run its course. A story such as this can have many aspects and each aspect can have its own video, press campaign, distribution and promotion. In this case the stories about the use of GoPro, user created video content and travel video in general are of interest to different niche markets. each can have a video, press release and distribution. At this stage the GoPro video is ready, and the pres release is stage but not published. We will add these later. This is just one aspect of a larger promotion with many videos that explain the offer, the accommodation, the heritage tour and the destination. Other videos offer social proof and product reviews. A series of explainer videos illustrate the value in a clear and concise way, going to the extend of offering comparisons with other alternatives. In addition there are several blogs on the BTE as well as on other site like Marketing Hotels and Tourism Travelers Insights | This Blog | Travel to Exotic Places | Adventure Travel Destinations and many more. it is distributed and picked up by approximately 200 Media outlets including Boston Globe and La Daily News to name just two. We also use other distribution that will get picked up by Travel Weekly (this is a related page - the Horse-Whispers Pr is not live yet) and others not syndicated via newswire.net. The second and third video in the series will often link to one of the first so that we build authority for some key media pages on our release. Of course each PR is unique and can be picked up by the same media if they find it of interest. To get coverage in the UK we use an agency who distributes to the Press in that country. Press Release build a lot of authority for the properties linked. Some media coverage will also make it into Google news and search results giving more links to the target sites. All videos, Web pages, blogs and Press releases are posted to various social networks. Again they link to an array of sites, video and content. It is important to be strategic in building the links and the networks. Never overdo it, and stage it out over weeks and even months, depending on the number of properties in the network. The network will contain your Facebook profile and pages, Twitter, Tumbler, Pinterest, Reddit and all the major social properties. In our company we have video sites and networks for each target market. For Barbados .org the video channel on YouTube is BarbadosTravel. 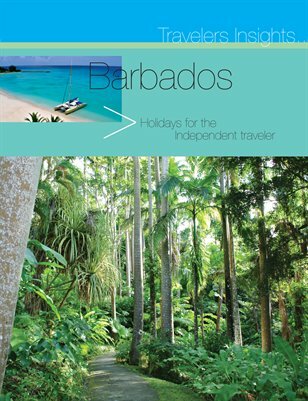 On Dailymotion and other video sites like Vimeo, mySpace, PhotoBucket etc it is BarbadosHolidays. Similarly their are social profiles on linkedin etc for the Barbados.org identity. This is repeated for World-Heritage-Tourism magazine, Travel2ExoticPlaces, Adventure-Travel-Destination and many niche market personalities we create to build out our networks. It's also important to reach out to other networks, 3rd party sites and properties that are not your own. Search engines tend to ignore self promotion after a certain level. While the social activity on your own sites is vital for sharing your message as wide as possible you need other site to help gain authority backlinks that will influence your search engine ranking and get you to the top of search result. In addition to publishing Travelersinsights magazine that features this promotion and the villa holiday package, a major part of our strategy involves using high quality document sites where we publish PDF magazines. These include iTune, iPad, IPods, Slideshare, Scribd and many other quality magazine sites. Printed copies are also available with MagCloud. We also build photogalleries on photosites, like TripnTale, and comment across relevant channels that are high in authority. (Use Moz.com to evaluate the authority, citation and trust score of the sites you choose to work with). Advertising and social sharing is added as needed. If the organic activity works you don't need to do anything more, but generally we have to boost activity with other content marketing, advertising and social activity. It is important to stagger all of this promotional and social comment activity. If not search engines will find it unusual or see it as self promotion and just ignore you. When ever we do a promotion campaign such as this we are on the lookout for how it fits into marketing trends or technology developments. At the time of this release Haikudech and Slideshare formed a cooperative agreement that allowed Slideshare users to have free access to Haikudeck and its rich visual presentation app and large graphics database. The new software made creating a high impact slidedeck easy. We used it to do a teaser on Slideshare and created a video on its use. That too was distributed to our network and was shred. Haiku Even Commented on our Travelwatchnews blob. The comment has been shared on twitter and retweeted. all great social engagement and visibility for our project. Bear in mind that each of these many items are not independent. each can be multiplied out with thr own press, social, video and content campaigns. See the video that explains the multiplier effect. Keep tuned - An explainer video (see example) will follow that will explain this case study and results at completion. In the NEXT blog we will look at the conversion funnel and continuity program with this campaign. We will also look at analytic, automation tools and how to measure the effectiveness of your campaign. What would you like to know more about. How can I help you more.